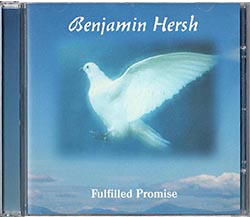 The album includes two famous Jewish songs and a classical piano piece. .The songs are all about Yeshua and the cry of Yeshua's heart for all His people, for Israel and for peace between the Nations. Benjamin is also speaking, preaching and singing. He has talked on Jewish and Gentile outreach to various churches and Conference Centres.